and a few table centerpieces. 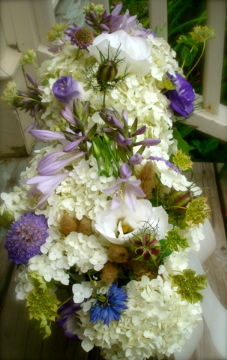 It was delightful working on this wedding with flowers from our property. The timing was so fast I did not meet the brides in person (this is sometimes the case) but I was able to wish the mother a beautiful wedding day. As always, working with Moose Meadow Lodge on this wedding was a pleasure.